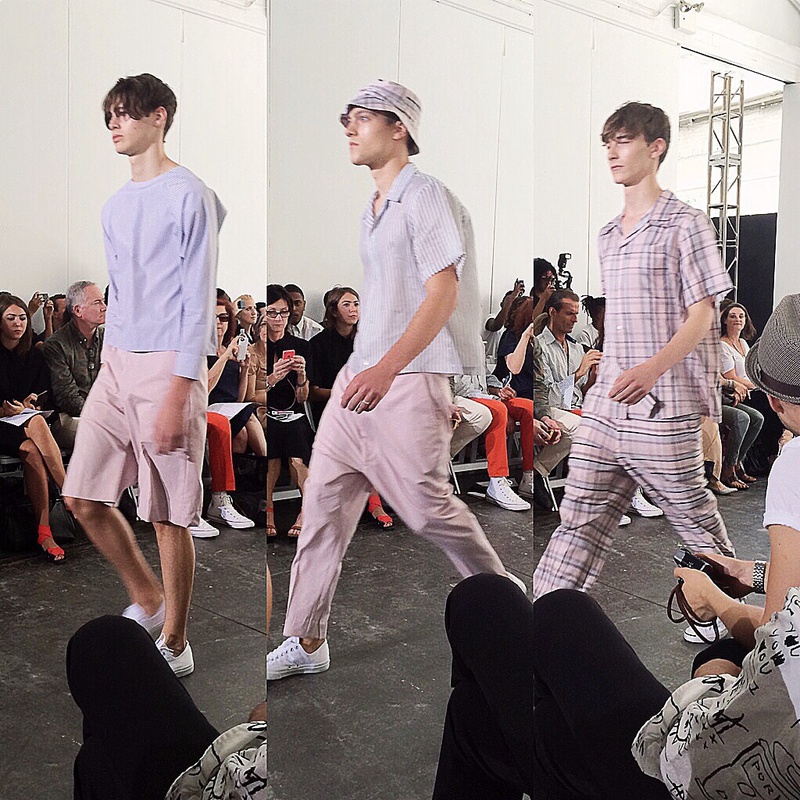 MaleCritique had the pleasure of attending the spring summer 2015 runway show for Duckie Brown and as usual the collection was a visual feast for a starving fashionisto in need of good menswear! From the moment the first look stepped onto the runway that featured these really nice grey curved seam trousers I knew Duckie Brown had done it again, mixing their signature aesthetic of hard and soft while still being overtly masculine like only they know how. While the collection wasn’t as androgynous as previous seasons Duckie Brown made sure they kept in signature styles such as drop-crotched pants and oversized pieces that seem to keep the edge off of what would usually seem like a somewhat serious collection –which we personally love about Duckie. Featuring plaids and pastel colors like blue, purple and pink Duckie Brown wanted subtleties to speak to their audience this year. 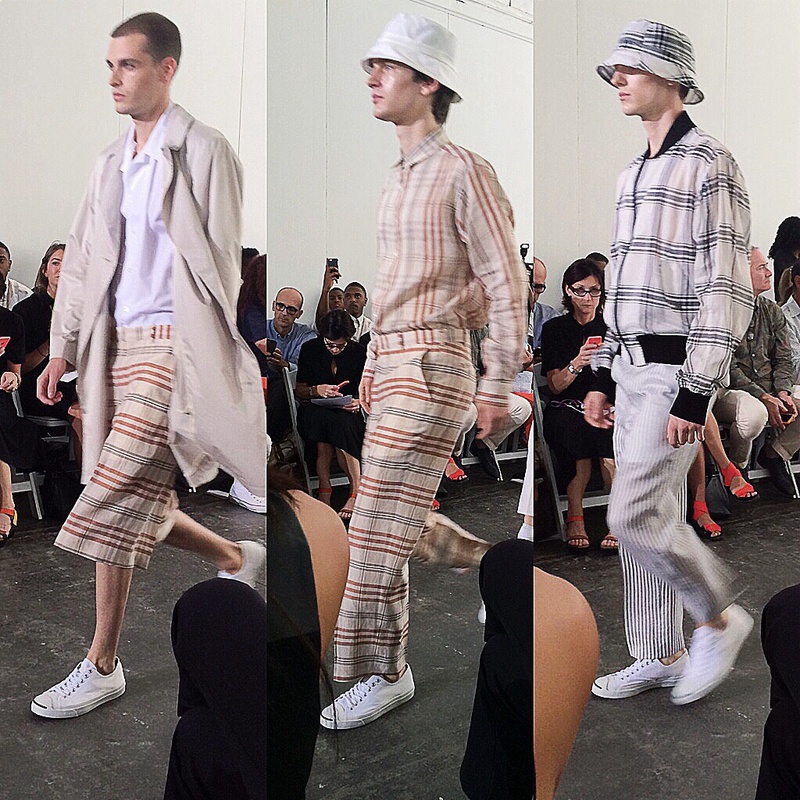 What seemed to make me most excited was to see Duckie Brown get IT and featured a number of great styles of bucket hats on the runway. I’m glad to see a trend that I still love being carried over into next year! All in all great show and I can only wait impatiently for the next collection! 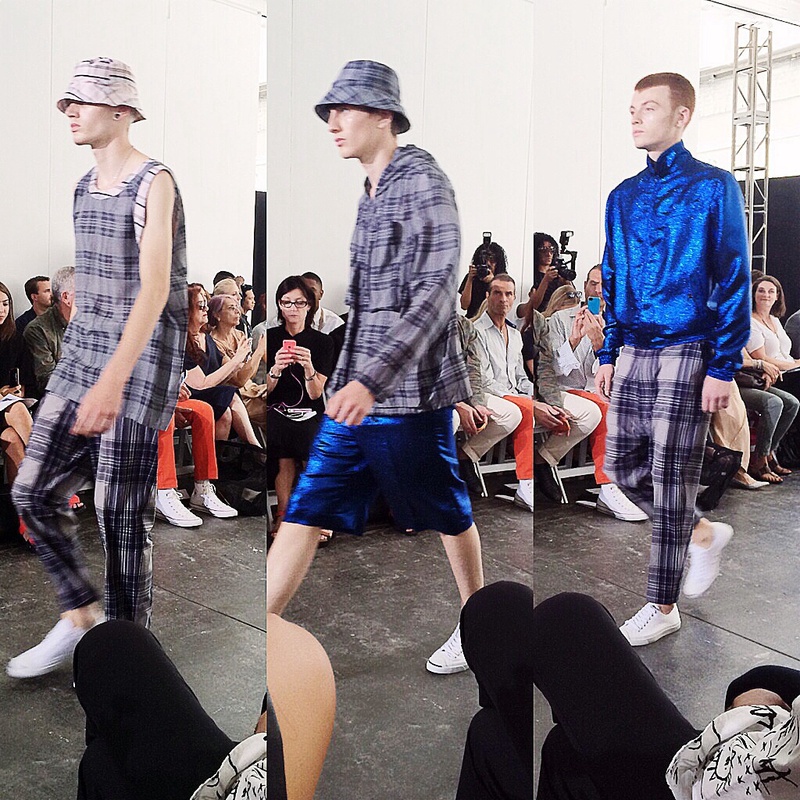 What do you think about Duckie Brown’s s/s 15 collection? Great interpreation of this collection. 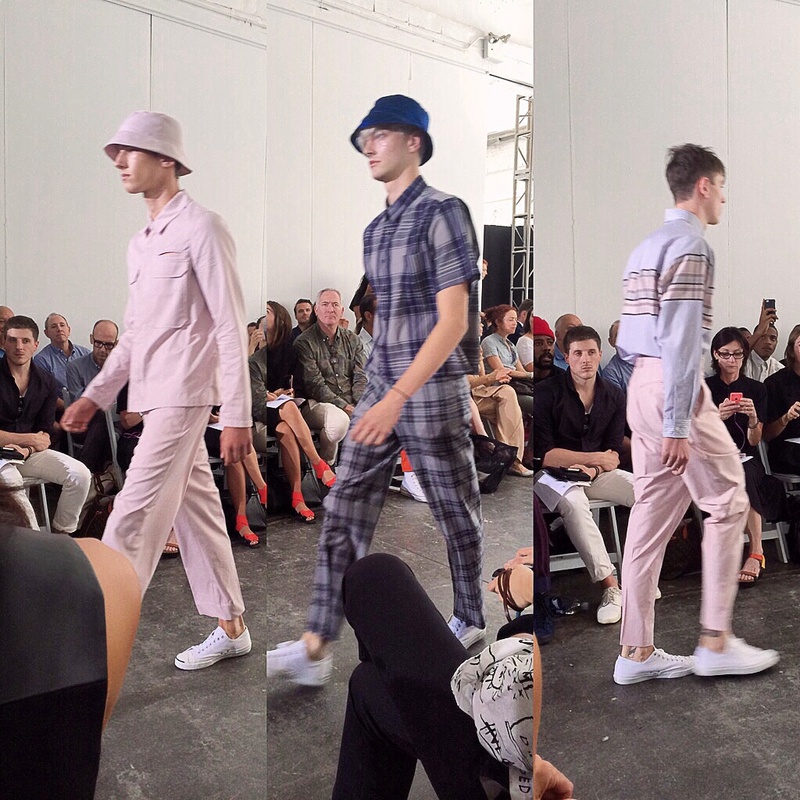 I adore Duckie Brown and am always excited to see what people think about his current work. I’m excited about those bucket hats too. Now I can cop mine for next spring.